The state of Illinois has currently been without a budget for almost one complete year. Illinois PTA focused on the budget issue at our 2016 Legislative Conference and has called for PTA members to contact their legislators and the governor to urge them to pass a budget. A new website provides an interactive visual representation of the effects the lack of a state budget has had across Illinois, letting you see how the impasse has affected your community. 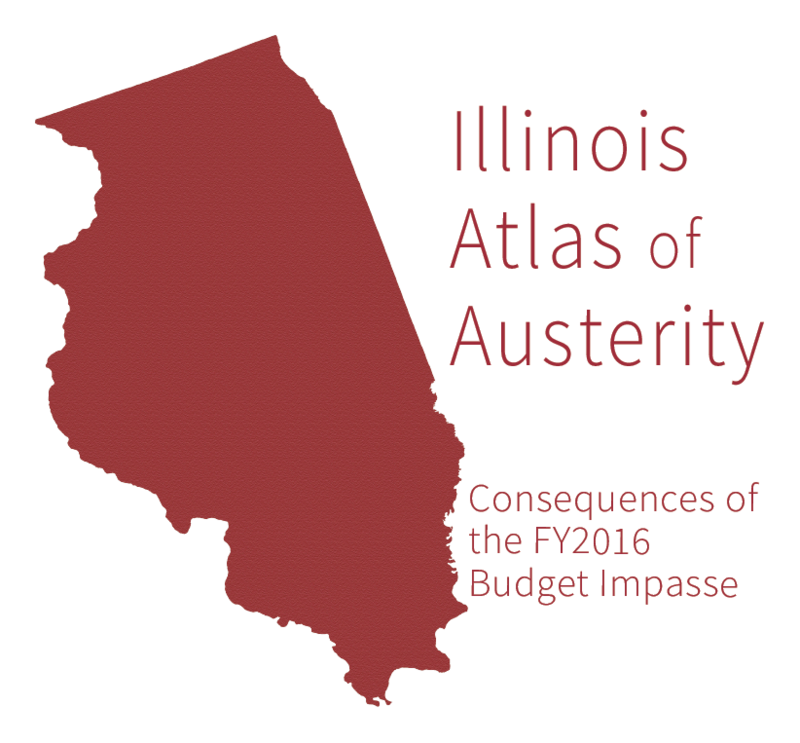 The Illinois Atlas of Austerity is the brainchild of Melissa Heil, a graduate student in the Department of Geography and Geographic Information Science at the University of Illinois Urbana-Champaign. She created the site to explore how geographic perspectives and tools can be used to improve public understanding of current issues like the budget impasse. Due to the fluid nature of the budget situation, these maps, based on publicly-available information, do not provide a comprehensive summary of the full effect of the lack of a state budget, but rather serve as a snapshot of some of its effects during the past year. If you have not yet contacted your state legislators and the governor as part of the Illinois PTA campaign, do it today! We have a prewritten letter ready to go, so all you have to do is add your signature, e-mail address, and zip code (needed to identify your legislators). It only takes a minute, so take action today! This entry was posted in Advocacy, School Funding. Bookmark the permalink.